Now that RTX is finally on in software, Nvidia wants to get it running on your RTX hardware. Today, the company announced that if you buy a GeForce RTX 2070, 2080, or 2080 Ti graphics card (or a system with one of those graphics cards inside) between now (November 20) and January 7, you’ll get a free copy of Battlefield V with it. 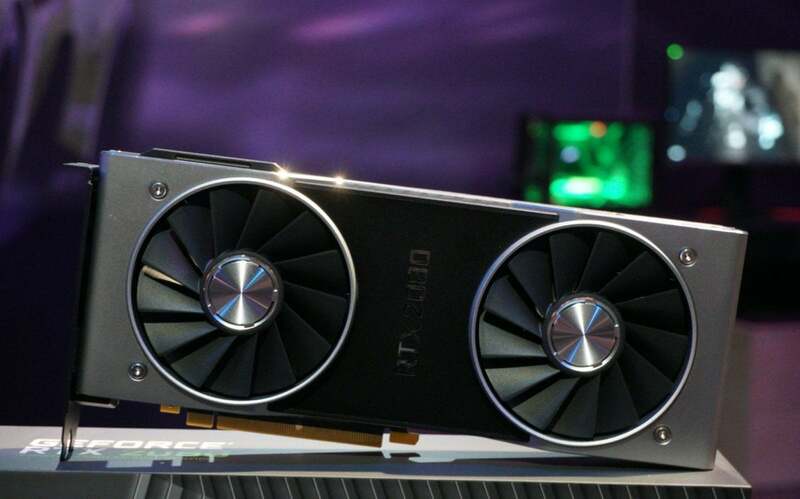 RTX is Nvidia’s branding for real-time ray tracing and other technologies enabled by dedicated RT and tensor core hardware inside its radical Turing GPUs. More than 25 games have pledged support for RTX in some fashion, but last week, Battlefield V became the first game to support real-time ray tracing via a prelaunch patch. BFV uses ray tracing to create more realistic dynamic reflections, though activating the technology can greatly affect frame rate. It’s still amazing that any ray tracing can run on consumer GPUs, however. Our primer on Microsoft’s DirectX Raytracing API—which underpins Nvidia’s RTX ray tracing features—explains why it’s such a big deal, and why real-time ray tracing has long been considered the Holy Grail for gaming graphics. We did a quick livestream on PCWorld's YouTube channel showing off the ray-traced reflections when it went live in Battlefield V.
Nvidia’s RTX graphics cards rule high-end traditional graphics too, though some more successfully than others. These GPUs start at $500 and only go up—way up—from there, so be sure to check out our GeForce RTX 2070 and RTX 2080 and 2080 Ti reviews before you decide which graphics card to grab with your game. If you decide to take the plunge, make sure you do so at a participating retailer if you want the free Battlefield V copy. Nvidia warns that it “cannot provide download codes and coupons for purchases made at non-participating retailers and e-tailers.” It’s a pretty good game!